I recently rotated my own tires. However, I don't know how to clear the light! I also started having the general service light come on as well. Can anyone explain how to reset these? Scratch that. I searched off the forum after posting this thread and immediately found my answer. In the spirit of a DIY, the steps to reset these lights are below. I wasn't able to find the reset option, because every time I looked the car was turned on and in drive. I guess the mazda hides the settings menu when you are driving around. How do you reset maintenance light, reset service light indicator Mazda 6, year 2013, 2014, 2015. For reset maintenance light and that can be made manually by use button on car dashboard. 1) Turn the ignition to run (do not start the engine). 2) Press the UP or DOWN part of the INFO switch to highlight the SETTINGS menu and press the INFO button to confirm. 3) Scroll to MAINTENANCE and press the INFO button to confirm. 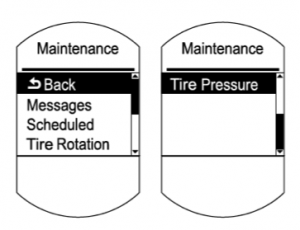 4) Scroll to the item that needs to be reset (SCHEDULED, TIRE ROTATION, TIRE PRESSURE) and confirm with the INFO button. 5) Scroll to SET TIME or SET DISTANCE and confirm with the INFO button. 6) Turn the ignition off and then start the engine to verify the indicator has been reset.